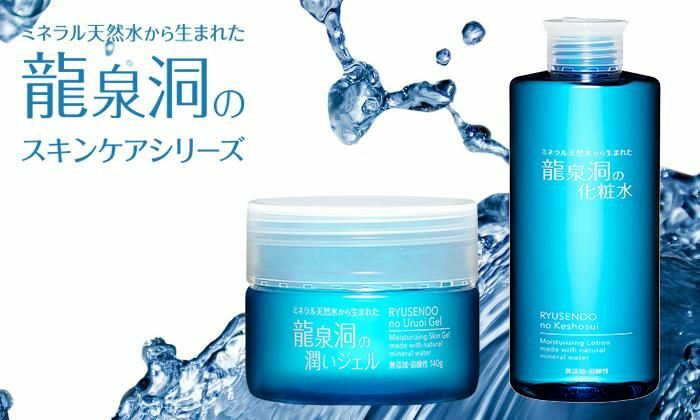 This skin lotion's main ingredient is water from the Ryūsendō cavern in Iwaizumi, Iwate Prefecture. Through a process of natural filtration this water is extremely mineral rich. 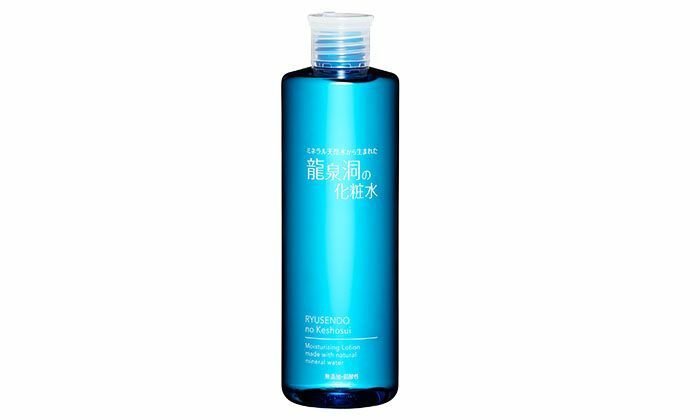 Other ingredients giving this lotion incredible moisturizing power include hyaluronic acid, amino acids, hydrolyzed collagen, essential oils, and ceramide. 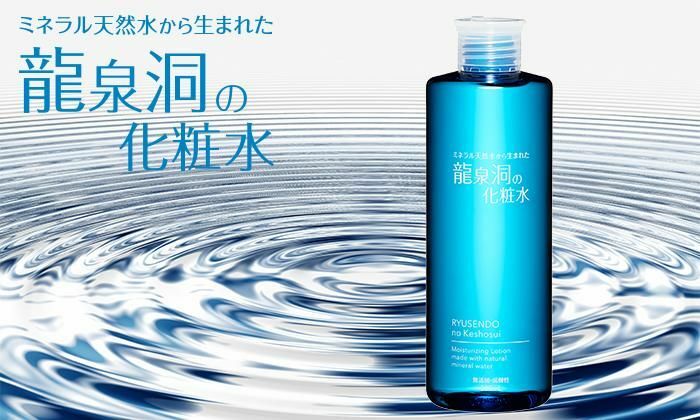 The lotion is made with "Ryūsendō Water", winner of the Monde Selection "International High Quality Trophy". Naturally filtered over a long period of time, this well-known spring water is enriched with natural minerals. 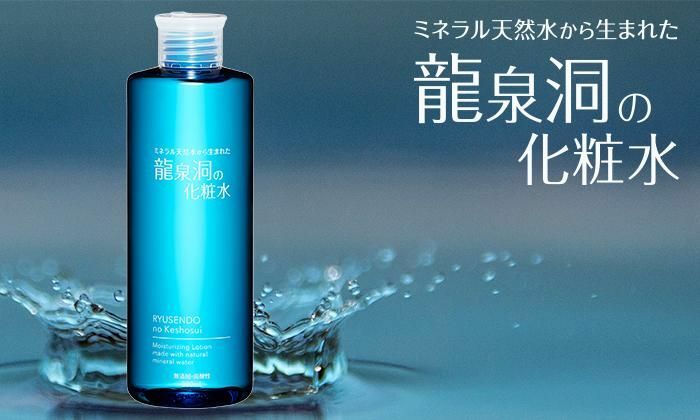 Three kinds of hyaluronic acid and eleven amino acids essential for a moisture rich radiant skin are added. Made with a formulation of plant based essential oils effective for skin care including: Damask rose oil, which suppresses inflammation, and Palmarosa oil, which works well against pimples and rough skin. A combination of nine essential oils are used. Additive-free, pH balanced, in a large 300 ml bottle, can be used by all the family. Incredible moisturizing power. I receive 3 small sample. They can make my face moisturizing. But I prefer lighter texture, this one is bettter to be used in winter. I get 3 little small sample. The lotion does not have any smell. It can make my face feel moisture. Nice Product. I think it is a little bit too moisturizing to be used in summer. 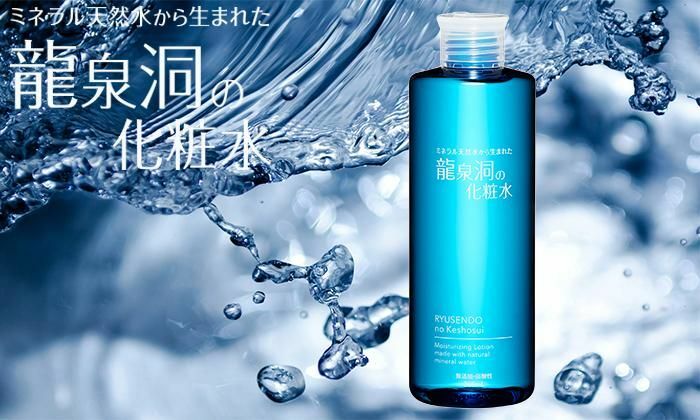 But I think it will be a good product to use in winter.